House Speaker Paul Ryan is making it known to advisers that he’s planning to retire after the 2018 midterms. Ryan has served as House speaker since late 2015 and has served in Congress since 1999. House Speaker Paul Ryan has made it clear to close confidants that he is planning to retire from Congress after the 2018 midterm elections, Politico reported Thursday. The 48-year-old Republican has represented Wisconsin’s 1st Congressional District since 1999. 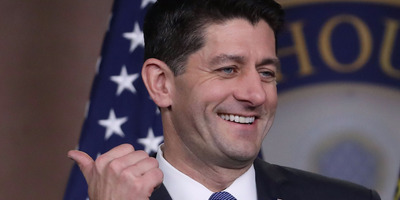 Politico reported that, in recent interviews with roughly 40 lawmakers, congressional and administration aides, conservative intellectuals, and Republican lobbyists who are close with the House speaker, not one believed Ryan will serve past 2018. Politico noted that Ryan was “tiring of DC even before reluctantly accepting the speakership” in 2015. Ryan, in 2012, was Republican presidential nominee Mitt Romney’s running mate. The publication reported that Ryan has held conversations on the subject with close advisers and has made it clear that he would like to serve through the upcoming midterm elections and retire before the next Congress is seated in January 2019. While still serving as House speaker, Ryan reportedly will set his sights on entitlement reform in one final legislative push. Ryan’s current major push, tax reform, looks as if it is about to be passed into law.